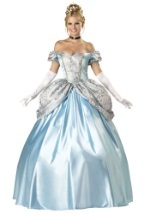 Cinderella will be swooning over you in this this authentic prince charming costume! 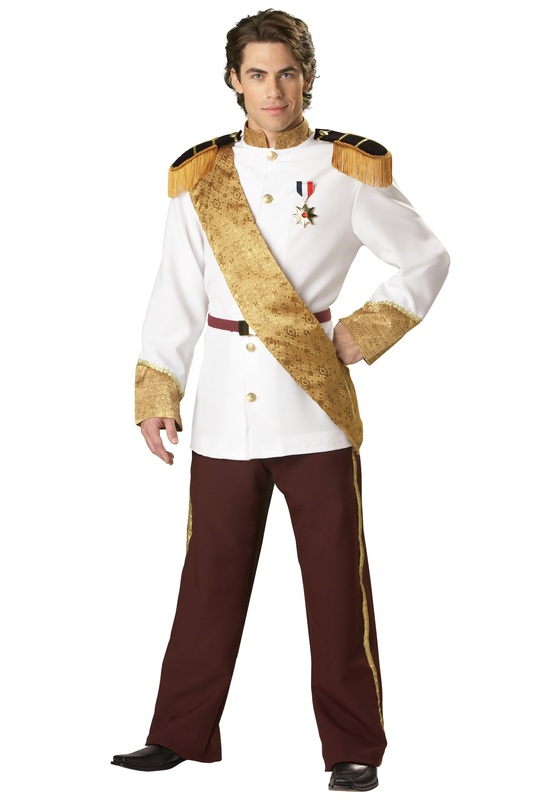 The men's costume comes with a white, military style jacket that is made from polyester. 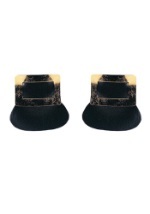 It buttons up the front for closure with elaborate gold buttons and features black epaulets on the shoulders with gold fringe, trim and buttons. The collar and cuff sleeves feature a beautiful gold jacquard pattern. A matching jacquard sash crosses the torso and velcros under the epaulet to secure it in place. A maroon military belt with a gold buckle accents the shirt. The maroon pants have shimmering gold stripes down the sides. Elastic lines the back of the waistband for a comfortable fit. A blue, white and red medal with a gold pendant pins onto the shirt for a complete look. 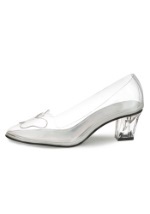 Dance the night away when you add our women's elite princess gown!